Key difference: A Bank Rate is the interest rate at which a nation’s central bank lends money to the domestic banks, whereas a Repo Rate is the short-term rate at which a nation’s central bank repurchases the money from the commercial banks on the basis of their security. 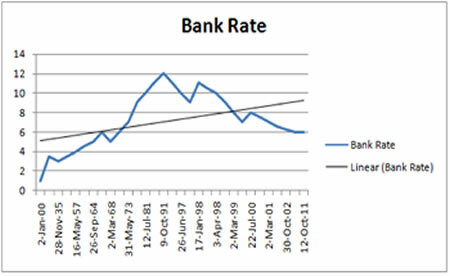 A bank rate is the rate of interest at which the country’s central bank lends money to their domestic or central banks. It is the interest rate that a central bank charges on the loans and advances of the commercial banks. These loans are borrowed by the local domestic banks from the centralized banks at the time of shortage or financial crises. These transactions are totally based as per the monetary policy of the country. In American English, the bank rate is referred to as discount rates. It is the rate that the central bank provides to the commercial bank for the excess reserves being kept with the central bank. It is the interest rate that is charged by the nation’s central bank on the loans. The bank rate advances the controls of money in order to maintain the supply in the economy and bank sectors. This rate is typically countered and calculated on a quarterly basis in order to control the inflation and stabilize the nation’s exchange rates. The changes in this rate affect the customers as it influences the prime interest rates for personal loans. Generally, the bank rates are different for different countries, and keep on fluctuating in the years as they are dependent on the countries central bank’s financial and economical status and growths. The term ‘repo’ relates to ‘repurchase’. The Repo Rate is the rate at which the central bank lends short-term money or finance to the commercial banks against the securities. Generally, the borrowing is done through the repos. The repo rate and bank borrowing rate is directly proportional to each-other; that is, when the repo rate reduces, the central bank’s lends money to the commercial banks at a cheaper rate. Whereas, when the repo rate increases, the commercial banks borrowing rates become more expensive. The repo rates are mostly applicable at the times of emergent financial need in the markets. The repo rate is the rate at which the banks borrow from the central bank. Basically, it is the interest rate at which the central banks in a nation repurchase the government securities like the treasury securities from the domestic banks. The central banks increase the repo rate at their desired time in order to reproduce the money supply within a short duration of time, and decrease the rate accordingly in order to raise the money supply and maintain the growth. In general, other countries and traders have their own version of a repo rate, which is set on the repurchase agreements, in which a securities holder sells the securities to an investor with an agreement to repurchase them at a fixed price on a fixed date. It is the interest rate at which a central bank will advance short term loans to commercial banks. It is the discount rate at which a central bank repurchases government securities from the commercial banks, depending on the level of money supply it decides to maintain in the country's monetary system. Bank rate is another term for base rate or discount rate. Bank rate is the rate at which the central banks lend money to other banks (or financial institutions); and signals the central bank's long-term outlook on interest rates. 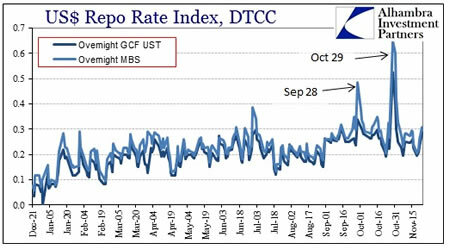 Repo or Repurchase rate is the rate at which banks borrow funds from the nation’s central bank to meet the gap between the demand and money crises. When the bank rate increases, the long-term interest rates also increase. When repo rate increases, the banks borrowing rate becomes more expensive. Here the money is lent without the selling or buying of any security. Here the security is sold to central banks to raise money. Banks make a profit by borrowing at a lower rate and lending the same funds at a higher rate of interest. Repo rate increases their rate in order to maximize their stability. In India, the bank rate is the rate at which the Reserve Bank of India lends to commercial banks and other financial institutions for meeting shortfalls in their reserve requirements, for long-term purposes. The current Bank rate is overnight rate + 300 basis points. In India, the repo rate in India as of November '13 was 7.75%.